Does Birlesik Gumruk Musavirligi render services in all over the country? 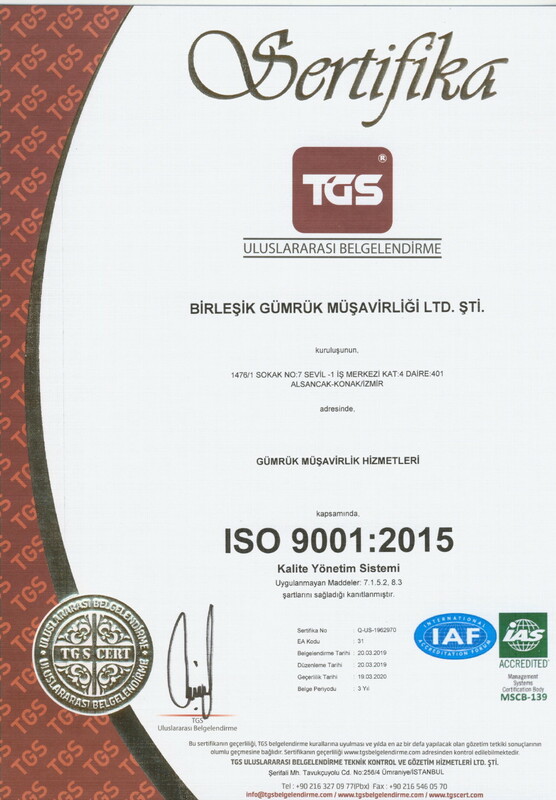 Birlesik Gumruk Musavirligi (United Customs Consultancy) started its operation in Izmir in 1985. The Company has been in the sector for over 30 years and it has branches in Istanbul, Mersin, Zonguldak, Edirne/Kapikule, Ege Free Zone (ESBAS), Aliaga and Gemlik and render services to our dear customers with his 110 personnel in all over the country. Does Birlesik Gumruk Musavirligi offer Technologic Solutions and Online Support Services? Thanks to our technology investments we have made since the date we established, we are able to connect online with Customs Undersecretary, Free Zones Management, Free Zone Operator Companies, user companies, Customs Administrations, Turkish Statistical Institute (TUIK) and the exporter unions from all our offices and carry out the registration and collection processes with the help of “EDI”; E-Union; E-Customs and Free Zones Computer Application Program (SBBUP). Thanks to special passwords given to our customers via our web site, our COMBINED ONLINE system enables us to instant monitoring of each stage in customs procedures during the process from filing the transactions to the delivery of the goods, gives us the opportunity to track ongoing orders and even the current accounts, makes every transaction transparent and create offer our customers to work in coordination with the Foreign Trade, Logistics, Supply Chain, Marketing and Accounting Departments. Furthermore we keep all documents related to the customs transactions in electronic media. When demanded by our customers, we prepare and submit detailed reports on foreign trade issues on daily, weekly, monthly and annual basis. Does Birlesik Gumruk Musavirligi render services to Ship Agency and Forwarder companies? As being Birlesik Gumruk Musavirligi (United Customs Consultancy), we render customs services to all Ship Agencies and Forwarder companies without experienced customer representatives, updated technology based software programs and our trained, solution focused, and expert operational personnel at all customs/ports where we render our services. These services include all the operation movements (export-import) of the ship under the ship services from the arrival of the ship into the port (Arrival Declaration, Discharge Summary Statement approval), stores and crew transactions required for the ship. After the completion of all the ship operations, the port costs related to the ship shall be paid and all the approvals required for the ship before leaving the port and have the ship left the port without any problems. Our major customs services rendered by our company are “corrections to be made on the declared import and export summary declarations, Temporary acceptance entry and exit, Transit, Transshipment, Re-Export, Agency Transfer and Second Pier, Destruction and Disposal Process, Deficit/Surplus monitoring transactions and Proceedings Termination, Tim Tracks, Exit Declaration and Loading Summary Declaration approval”. All the documents related to the services rendered are archived in electronic media. Does Birlesik Gumruk Musavirligi render services to the Port Operators and Ro-Ro institutions? • At the ship departure, submitting the OPS report, discharge, Baplie and TDR reports to the customer Agency/Forwarder company. What are the conditions required for the persons who desire to import vehicles with custom-fitting tools? Persons who want to import vehicles with custom-fitting tools should have an orthopedic disability. Orthopedic disability means the upper or lower extremity disability due to the loss of body skills at different levels stem from skeleton, muscle and nerve system disorders for any congenital or acquired reason. There are two kinds of to import vehicles with custom-fitting tools: (i) import of vehicles manufactured to be used by the disabled person and having controlling assembly or (ii) import of vehicles manufactured to carry disabled persons who lost all his hand and feet functions completely and designed to have the disabled person get in and out easily. 1- People who want to import of vehicles manufactured to be used by the disabled person and having controlling assembly should have an orthopedic disability. 2- People who want to import vehicles manufactured to carry disabled persons who lost all his hand and feet functions completely and designed to have the disabled person get in and out easily should have lost all his hand and feet functions completely. a- If these people live outside Turkey, they can import vehicles with custom-fitting tools with tax exemptions if they start to live in Turkey. b- If these people live in Turkey they can import vehicles with custom-fitting tools sent to him by the real or juridical persons (associations, foundations, etc.) out of Turkey as a donation or purchased by them with tax exemptions. What kind of vehicles can be imported? 2) Motorized road vehicles having six to nine seats including the driver except the portative seats, and which has a ceiling height that lets the disabled person easily. Custom-tool in the vehicle has to be assembled into the vehicle before its entry into to the Turkish Customs Area. Who can benefit from the right to import household goods? a) Real persons who lived outside Turkish Customs Region for a period no less than 24 months and moved to the Turkish Customs Region on permanent basis. Living in Turkey for a period of less than 6 month within one year temporarily does not disturb the continuity state. But these periods shall not be included in the calculation for the 24 month period of staying in outside Turkish Customs Region. Stays up to 45 days in Turkey shall be included in staying abroad. The condition related to the living in abroad shall not be required for the person who lived at least five years within the last 10 years outside Turkish Customs Region. Persons who benefited from second hand household goods under this article can benefit from this right again only if they live in abroad at least twenty-four months again. ç) The persons who live in Turkey and inheritors of a person who dies and have lived abroad. Legator mustn’t stay in Turkey for a period of more than six months before his last entry to Turkey. Staying in Turkey no more than 45 days shall be included in the time in abroad. This time requirement shall not be applied for the persons who lived for 5 years or more in abroad in the last 10 years. How can I bring and automobile from abroad under the scope of tourist facilities? Pursuant to the provisions of Communiqué on Temporary Imported Land Vehicles (Serial No: 1), you have to live abroad in order to import a vehicle under the scope of tourist facilities. How longs can the vehicles entered into country under the scope of tourist facilities stay in Turkey? Such a person can stay in Turkey with his vehicle no more than 180 days. There is a special provision for the retired persons and this term is extended to 360 days. These terms are given if the person and vehicle have been abroad for a period of 185 days without an interruption. If a person wants to enter Turkey without living abroad for a period of 185 uninterruptedly, the calculations shall be made as defined under the title “What does living abroad mean?” and the terms in which the person stayed in Turkey are deducted. What kind of power of attorney documents are accepted to bring automobiles under the scope of tourist facilities? Rent contract documents for the rent a car vehicles. What is foreign vehicles temporary entry certificate and who can obtain it? 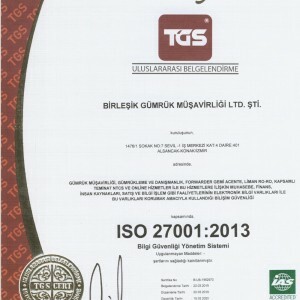 Except the Turkish citizens with dual nationality, the certificate issued for the vehicles of the persons who come to Turkey to work or study for a certain period of time and the retired persons who have temporary residence permit to live in Turkey by the authorized guarantor company (Turkish Touring and Automobile Institution -TURING) is called Foreign vehicles temporary entry certificate. Abovementioned persons can obtain this certificate by applying to the guarantor company. If another guarantor institution is determined, this shall be announced separately. Is there an age limitation for the automobile to be brought under the foreign vehicles temporary entry certificate? There is no age limitation for the automobile to be brought under the foreign vehicles temporary entry certificate. Can I sell my automobile that I brought under the foreign vehicles temporary entry certificate to another person in Turkey? The vehicles imported under foreign vehicles temporary entry certificates can be transferred to other persons who have the right to bring such vehicles under such certificate only if these persons document that the ownership of the vehicle have been transferred in the country where they live or at their embassies or consulates and if the vehicle is taken under the supervision of the Customs Administration. What are goods brought by passengers? These are goods brought by the passengers and which have no trade characteristics or quantity. Each passenger has the right to bring the individual goods listed under Annex-9 and the goods with a total price of 430 Euros with exemption. What is exemption for goods brought by passengers? Tax exemption was given for the goods defined in Article numbered 58 and entitled "Personal Goods" of Decision numbered 2009/15481 and Annex-9 thereof. The goods listed in Part (A) Annex-9 can be brought by the passenger and those listed in Part (B) can be brought one month prior or three months after the entry of the passenger. How is the tax exemption applied for the goods listed in Annex-9 Part (A) “Consumption Materials”? A tax exemption is applied for the goods listed id Annex 9 Part (A) “Consumption Materials” provided that they are brought by the passenger. Exemption right for tobacco and tobacco products and alcohol products can be applied separately for each product provided that each is not more than the quantity written next to it. Furthermore, passengers under 18 cannot benefit from the exemption for tobacco and tobacco products and alcohol products. 4- Minced Tobacco (with 200 cigarette paper leaves) 250 gr. 5- Pipe tobacco 250 gr. 1- Alcohol and alcoholic beverages with an alcohol grade over 22% are 1 lt.
2- Alcohol and alcoholic beverages with an alcohol grade below 22% are 2 lt.
1- Tea is 1 kg. 2- Soluble instant coffee is 1 kg. 5- Sugar made food 1 kg. If the passengers desire they can use their 1 kg chocolate or 1 kg sugar food product rights as 2 kg of one of them. Can passengers bring mobile phones with them? Yes they can. Passengers can bring 1 mobile phone with TV, music player, video features in every two calendar years as their personal belongings with tax exemption. There is no such limitation for the foreign mission members. In order to have the devices work properly, they should be recorded and such record shall be made within 60 days after the entry of the passenger into Turkey. Information on the recording procedures can be accessed from the website of the Information Technologies and Communication Institution. What is the exemption for gifts brought by the passengers? Except the transit passengers, exemption is given to the goods for personal or family use or as a gift by the passenger and put into free circulation without trade purposes. Exemption is applied for each passenger for the goods whose price is no more than 430 Euros. On the other hand, this amount shall be applied as 150 Euros for the passengers under 15. Can the passengers bring mobile phones within their 430 Euro gift limit or via mail? No. Mobile phones can be brought to our country as being a personal good under the scope of Annex-9. It is not possible to bring mobile phones with exemptions as gifts or by the payment of taxes or via mail. Therefore if mobile phones are brought in these ways, they shall not be delivered to their owners. What should be done to operate in free zones within Turkey? In order to operate in free zones, an operation license should be obtained. Operation Licenses are issued by the Ministry of Economics. Are Free Zone Management and Free Zone Customs Administration different units? While Free Zone Management operates under Ministry of Economics in compliance with the legislations of this Ministry, Free Zone Customs Administration operates under the Customs and Trade Ministry in compliance with the legislations of this Ministry. What is Customs Statue Certificate? 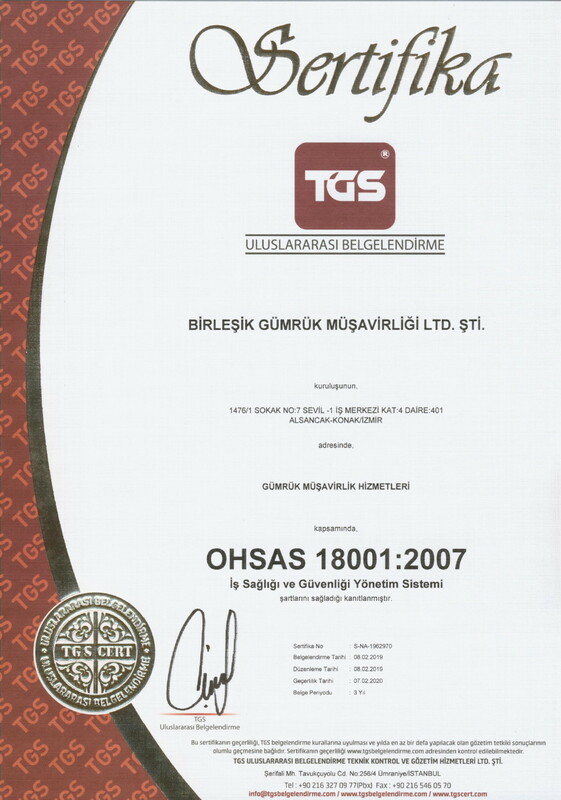 If the goods are moved from free zone to another part of the Turkish Customs Region or brought back to the free zone or subject to a customs regime, this certificate is issued under the export declaration issued for the goods exported from Turkish Customs Region to free zones in order to determine if the goods are subject to free circulation at their entry to the region, at the entry to the region for the EU or third country origin transit goods entering to the region with Free Zone Transaction Form. What does transit regime mean? Transit Regime is applied for the transfer of the goods that are not subject to import tax and trade policy measures and whose export related customs transaction are completed from one point in the Turkish Customs Regions to the other under the supervision of the customs supervision. • From a domestic customs administration to another domestic customs administration. It is a must to issue a guarantee in order use or the payment of the possible customs taxes that might accrue for the transit goods. On the other hand, no guarantee is required for the transfers via air, pipeline, railway, vessels except the conditions defined under the relevant legislations. What is the aim of Common Transit Regime? Common Transit Regime is the regime where the goods are transferred among the countries which executed the Common Transit Agreement (EU and EFTA member countries) in 1987 by suspending the customs taxes. Turkey has become a part of the Common Transit Agreement on 1 December 2012. The aim of Common Transit Regime is to have the transit declaration issued by any country executing the Agreement, the guarantee given and the other advantages been valid in other countries executed the Agreement and complete the transit transfer without any interruption without any need for a transit declaration at the entry to the country. Common Transit Regime accelerates and simplifies the transfer of the transit goods and it is a system aiming to decrease the costs by avoiding any time loss. NCTS (New Computerized Transit System) is the electronic system and have been used by the relevant countries since 2005 in order to accelerate and simplify Common Transit Regime transactions. This system is compulsory for the countries which become a party for the Agreement later and Turkey also uses this system. Briefly, NCTS is a program in which all the transactions from the submission of transit declaration to the accrual of the regime are all performed in electronic media, where the communication among Customs Administrations and between the Customs Administrations and the traders are realized via e mails and which simplifies all the transactions significantly. What are the purpose of using Certificate of Origin and EUR.1 Certificate? Certificate of Origin is a document used to prove the origin status of the good. EUR.1 Circulation Certificate is a origin proof document and shows that relevant goods are originated from the countries which are the parties to the Agreement, and it is valid upon the approval of the customs administration after its issuance by the exporter and checked by the Chamber of Trade/Industry and it is used to benefit from the discounted tariff for the trade with the countries that are parties of the Agreement. What is the difference between an A.TR Certificate and EUR.1 Certificate? A.TR Circulation Certificate is the document issued by the customs administration or the institutions authorized by the customs administration and approved by the customs administration in order to have the goods in free circulation in Turkey or EU benefit from preferred regime under the frame of the Customs Union in compliance with the provisions of Council of Ministers Decision numbered 2006/10895. A.TR Circulation Certificate shows that the goods are subject to free circulation and does not show the origin of the goods. On the other hand, EUR.1 Circulation Certificate proves the origin of the goods. When are the summary declarations given? 4- In road transportation, at least 2 hours before the arrival to the entry customs administration, if this is not possible at least 1 hour after the vehicle’s arrival to the entry customs. If any maritime or air vehicles call on several ports or airports in Turkish Customs Region, for example, a ship from a near port calls on first Mersin and then Izmir and Derince, summary declaration has to be given 2 hours before its arrival to Mersin for all the goods to be discharged in Mersin, Izmir and Derince. In case of combined transportation, summary declaration submission time for the goods in the land vehicles that are transported in ship and becomes “active transportation vehicles” is the same as the ship transportation. For example, the summary declaration for the goods in a TIR coming from a near port has to be given at least 2 hours before its arrival to the first port. If the summary declaration is given by a third party not by the forwarder, the forwarder has to take an undertaking from the third party for the compliance with the summary declaration submission times since the forwarder has to submit the summary declarations on time. It is the notification submitted to the exit customs administration (not the export customs administration) about the departure of the vehicle by the operator or representative of the vehicle departing from the Turkish Customs Region. No departure notification is given for the transportation vehicles departing from Turkish Custom Region from a land border crossing under the frame of transit regime. In any other case, departure notice has to be submitted for all transportation vehicles departing from Turkish Customs Region. Departure notice should include the customs declaration issued for the goods transported or the document used instead of the declaration and contain information required for the determination of the summary declaration. What systems are applicable to the Inward Processing Regime? There are two types of inward processing measures under Inward Processing Regime: conditional exemption and back payment systems. 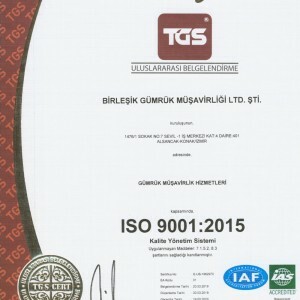 In Conditional exemption system taxes related to the import of the raw materials, supplementary materials, packages and operational materials that are not in free circulation by the persons residing in Turkish Customs Region are secured at the time of import and imported without applying trade policy measures and the security is returned back after the export of the goods. Back payment system is the back payment of the taxes imposed in import process if the processed goods obtained from the raw materials, supplementary materials, packages and operational materials that are not in free circulation are exported. Under this content, the customs administration applies the trade policy measures for the imported goods and all the transactions including the technical regulations for the import of the goods and the standardization legislations have to be completed. This is the regime where the goods in free circulation is temporarily imported into the Turkish Customs Region for outward processing and taking the goods produced as a result of these processes into free circulation with complete or partial exemption from the import taxes. What happens if the temporarily exported goods are brought back to Turkey after the completion of the three year period defined in Article 168 of Customs Law or any extension period defined thereof? If the goods are brought back to Turkey after the completion of the three year period defined in Article 168 of Customs Law or any extension period defined thereof, pursuant to the provisions of Article 241 paragraph (ı) of the same law, a misconduct penalty is applied and provisions of entry to the free circulation is applied and customs taxes are imposed. What is the import tax calculation method for Outward Processing Regime? Import taxes for the goods subject to the Outward Processing Regime is calculated by deducting the import tax amount to be applied as of the date of the final processing of the temporary export good from the import tax amount for the processed products. For the calculation of the deductions for this purpose, quantity and characteristics of the temporary export goods as of the issuance date for the declaration related to the outward processing regime and the tax provisions that are in force as of the issuance date of the declaration for the free circulation of the processed goods. On the other hand tax exemption provisions (preferred originated goods) for some processed goods under mutual or several party trade agreements are saved.